Long ago, on the first day of recorded history, six tribes of matoran awoke on the mysterious island of Inoria. Each tribe woke up in a different portion of the island, lost in a dangerous land and ignorant of the others and their history. All might have been lost before there was even a story to tell, but great leaders rose up, leading the way in conquering these challenges and paving the road for future generations. Volumes could be said about these first heroes, later known as Turaga, but that is not the story I am here to tell. No, this chronicle takes place one thousand years after that first day, when those six tribes have become six great nations that rule over the continent. Kothe, Tayru, Borrara, Leto, Galis, and the subterranean realm of Onura… for centuries, they coexisted in relative peace. But Inoria holds many secrets, and unseen forces moved through the shadows, scheming and plotting and planning, ‘til at long last the hearts and minds of the people were corrupted, and the whole island burned in the raging inferno of war. But hope is not lost, for ancient evil is not the only secret hidden here. As the end of an era approaches, six long-hidden artifacts reveal themselves: the Toa Stones, objects with the power to forge new elemental heroes. In an ancient hall at the top of a great mountain range the Toa Stones came to life. Six of them, one for each kingdom on the island of Inoria. They rose up into the sky, and flew away, each to their chosen hero. And thus, six Toa were born. They would be cheered by hundreds, and hunted by thousands. Savior to the weak and helpless, but targeted by monsters whose power exceeded imagination. Wars, pain, danger, and loss… they would know them all. They were known as the Toa Keata―Heroes who Endeavoured. In October of 2016, a user by the name of BBricksStudios on the Lego Message Boards started a topic called "Bionicle G3." His goal was to assemble a group of fans and, in the wake of Bionicle's second run, create a fan-made re-imagining of Bionicle. Today, we present you with the fruits of our efforts: Bionicle Eternal. Bionicle Eternal is a story-based project, with custom constraction models representing important characters from the tale. The story will be released weekly, but first, we want to give you time to understand the world and get a look at some of the people that live there. Below is a link to our website, where you can find more information about the island. 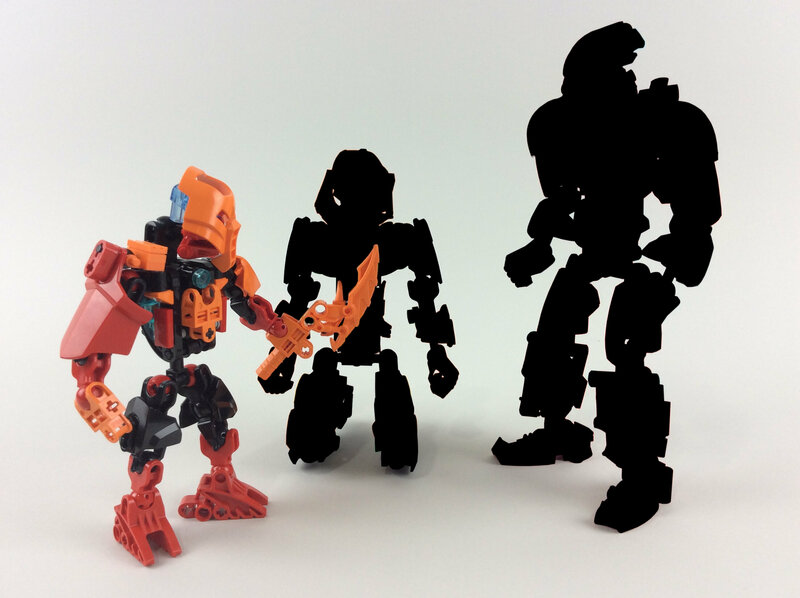 Additionally, over the next few weeks we'll be releasing twelve models: six matoran, followed by six Toa, as well as three teaser stories to better introduce them. Isn't that blasphemy on a TTV board? And yes, I am Obsidian as in staff member and resident nitpicker Obsidian. Our first model group has just been released! Check it out here! what do you know about blasphemy, last i checked I have more experience at it on a TTV board. I was just asking lol. I'm certainly more of a TTV noob. Anyway, if anyone has any questions about the project ask me, I'm here and up to date on things, and even if I'm not I can bother Bobo and then get back to you. Hi. I'm the guy that wrote most of everything about this project. I'm the guy that manages the discord and occasionally provides critique with a stupid amount of detail. I gave villain motivations for Amily. And edited some of the story. In addition, the teaser has also been added to the site. Enjoy! Our second model group is now released! Our newest teaser story, One by One, is out! Check it out on our website or follow the link below. Our latast model group has been released! The models can be seen at this link or on our website. Today marks the release of our final teaser story, Restless! Read it on our site or at the link below. This week we released our first toa model! Check it out below! Well, it appears the site is currently down. We're (well I'm not at least) some kind of google expert, so we currently don't know what's going on. We apologize for the inconvenience and will do what we can to fix it as soon as possible. The site is now up again! Chapter 1 is now available.